a. Click the name of your security domain (by default, myrealm). b. 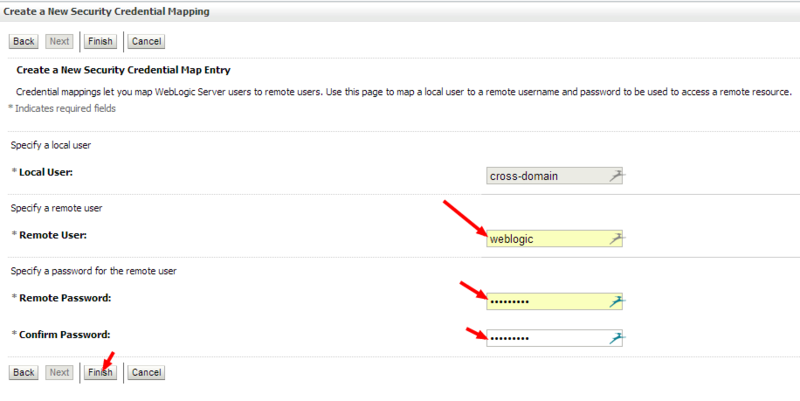 Select Credential Mappings Tab and click on Default. d. Select Use Cross-Domain Protocol. f. Enter Remote User and Remote Password. 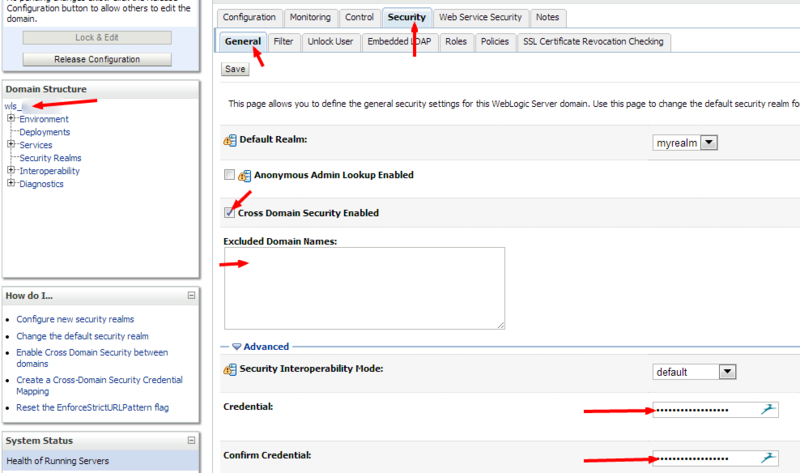 a. Click the name of the domain in the Domain Configurations section of the Home page. 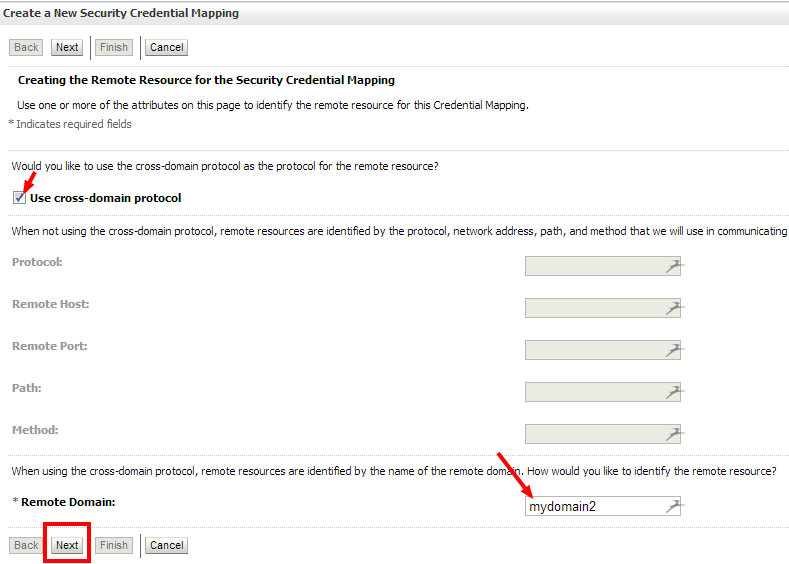 c. In the Excluded Domain Names field, enter the names of any domains that do not have cross-domain security enabled. Enter the names of these domains separated either by semicolons or line breaks.